All eyes will be on Victoria this holiday season when the IIHF World Junior Championship comes to Vancouver Island for the first time. Barry Petrachenko, CEO of BC Hockey. Photograph by James Macdonald. There’s always a lot going on in a hockey locker room that fans aren’t aware of when the puck drops. The same can be said about behind the scenes when it comes to deciding who gets to host the 2019 International Ice Hockey Federation (IIHF) World Junior Championship (WJC). This year, for the first time, Victoria is hosting this prestigious event (a.k.a. the World Juniors) in partnership with Vancouver. And with this victory comes the stage to showcase the beauty of Vancouver Island for the world to see. So how did Victoria and Vancouver manage to pull it off? As is often the case, it came down to a phone call once Hockey Canada opened the bid in April 2016. 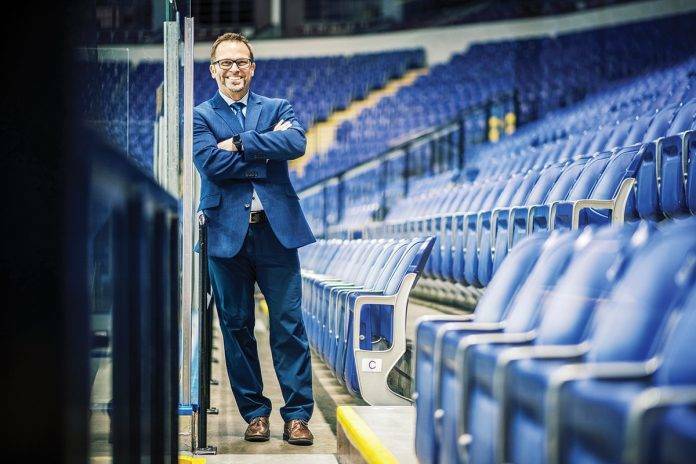 “I called Ron Toigo and it was as if we were talking about the bid for a year,” says Barry Petrachenko, CEO of BC Hockey, the Victoria-based governing body of amateur hockey. Toigo, majority owner of the Vancouver Grizzlies (WHL), was pivotal. In 2006, he had been instrumental in bringing the WJC to Vancouver, Kamloops and Kelowna. So Petrachenko knew he had to move fast.“We were in action within a week,” he says. First things first: get the Vancouver Canucks and the Victoria Royals on side and lock down Rogers Arena and Save-On-Foods Memorial Centre, while assembling management teams to build the bid and find the money. Tourism Vancouver and Sport Hosting Vancouver reached out to Tourism Victoria and Sport Host Victoria (now Greater Victoria Sport Tourism Commission). They put together a $600,000 bid, 80 per cent Vancouver and 20 per cent Victoria. The province provided $2.3 million for the operational side of running the games. As well, organizers are targeting $2 million in sponsorship money, which goes to Hockey Canada and the Canadian Hockey League for event organization and legacy programs, according to Petrachenko. Things eventually got a little more exciting when Vancouver, determined to leave nothing to chance, upped its ante to help secure the bid. Victoria went into action to raise another $100,000. Nursey quickly took to the phones, securing $50,000 from the City of Victoria and $10,000 from the Downtown Victoria Business Association, while DGV anted up the balance of $40,000. Victoria was back in the game thanks to the power of collaboration. In a nail-biter of a bidding game, Vancouver and Victoria beat out three strong competing bids from Edmonton-Calgary, London-Windsor, and Winnipeg-Saskatoon. Of course, money alone doesn’t win a bid. 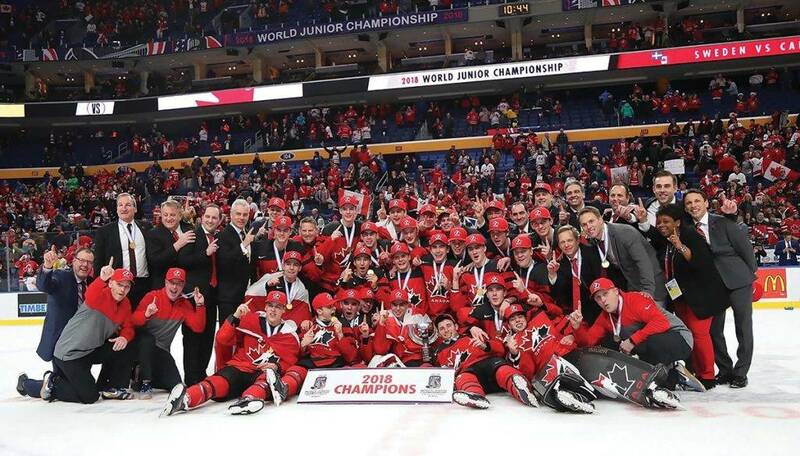 Hockey Canada requires many conditions, such as a strong relationship with junior hockey, sufficient population, a strong volunteer base and experience in running major events. Petrachenko and Toigo became co-chairs in the World Junior Championships, which have been more than an annual tournament for 40 years — they are a veritable Canadian holiday tradition, a time when friends and families tune into junior hockey at its finest. The puck drops on Boxing Day and the competition wraps up on January 5. While the focus is on what’s happening on the ice as the best under-20 players from 10 nations go for gold, the Capital Region will cash in on the glitter and glory. According to Hockey Canada, economic impact studies of the 2015 WJC, held in Toronto and Montreal, estimated the financial benefit for the host communities was more than $80 million. With the teams, officials and scouts alone, Nursey expects between 4,500 and 6,000 guests. And with all the fans heading here for the 14 games, the town’s hockey fans are stoked. Here’s how the teams line up: Victoria, with the smaller arena, will host Group B comprised of the USA, Sweden, Finland, Slovakia and Kazakhstan. Vancouver, with the larger venue, will host Canada, Russia, Czech Republic, Denmark and Switzerland. Local fans also get to watch Team Canada in action as Victoria is home-base for its training camp, which attracts considerable national media attention. Also included are two pre-tournament matches. Organizers say ticket prices were kept lower than in previous years, averaging about $28. It’s expected some tickets will be available at the door, but these will be very limited, according to Petrachenko. Another benchmark of the mounting civic enthusiasm is the overwhelming response of volunteers, so many that a lot had to be turned away. The World Juniors will be seen by millions of people around the world via host broadcaster TSN. And the TSN coverage alone will pay dividends down the road, according to Keith Wells, executive director of the Greater Victoria Sport Tourism Commission. Not all of the action is on the ice. In partnership with the Victoria Curling Club, as many as 1,000 fans can gather for pre- and post-game entertainment. Also, mark down Friday, December 21 as “Wear Your Jersey Day” to kick off the tournament and welcome the world to Victoria. Petrachenko projects the overall profit of the event between $15 and $20 million. “We’re hopeful the legacy to our hockey programming will be upwards of $500,000 or $600,000,” he says, and that’s money that will go to the recruitment of girls and boys and help build upon the volunteer network as BC Hockey celebrates its centennial year. And it’s a ride that’s expected to add huge traction to the growth of sports tourism in the Capital region as Canada goes for gold. This article is from the December/January 2019 issue of Douglas. Previous articleChangemakers: Master Beekeeper, Iain Glass. Next articleChangemakers: The Carbon Offsetter, Wendy Burton.